Education is a necessity to achieve true empowerment in today’s world. In a country like Pakistan accessibility to education and affordability of quality education is a major hurdle in the path of students . Scholarships for Pakistani students are the key towards a brighter future as they ensure a smooth educational journey for them. Educational scholarships can serve many purposes such as encouragement, reward and promotion of meritocracy. Punjab Group of Colleges is the name of excellence in education in Pakistan. The network is well known for maintaining a tradition of maintaining excellence in academics and upholding meritocracy for decades. PGC now being the largest educational network in Pakistan has not only addressed the issue of accessibility to quality education but also the affordability. The Punjab Group offers fee concessions, discounts, incentives and scholarships of various types to support the youth in the pursuit of education. Upholding its values and keeping the promise of making education accessible the network has made sure to provide more and more educational opportunities nationwide through different programmes. Step was launched by PGC to help students get through the hurdle of entrance examinations to secure admissions in professional degree programmes. STEP has been successfully conducting its entry test preparation programme from a past few years. With its exceptional teaching methodologies and advanced study systems STEP becomes a major contribution of The Punjab Group towards higher education. 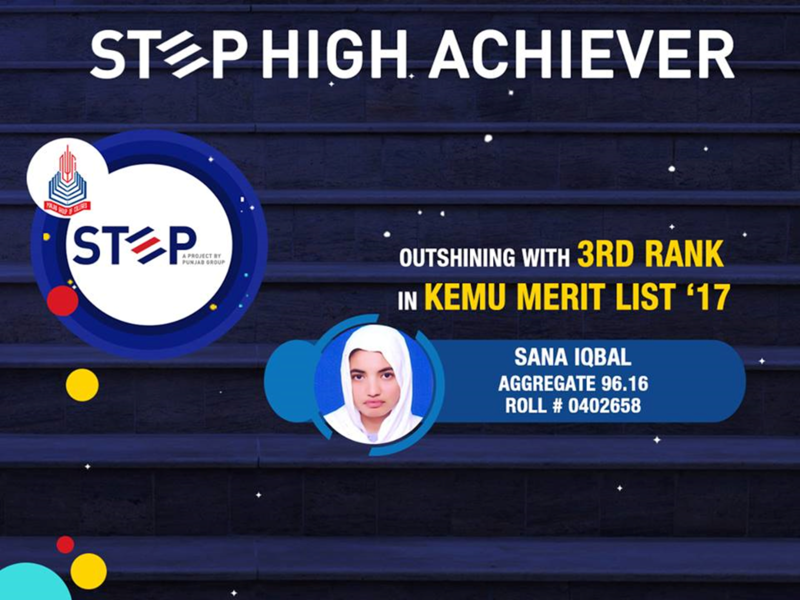 STEP has not only brought a revolution into the entry test preparation system by launching Pakistan’s first ever comprehensive entry test preparation app but has also introduced the biggest scholarship programme in the form of Achievers Scholarship. 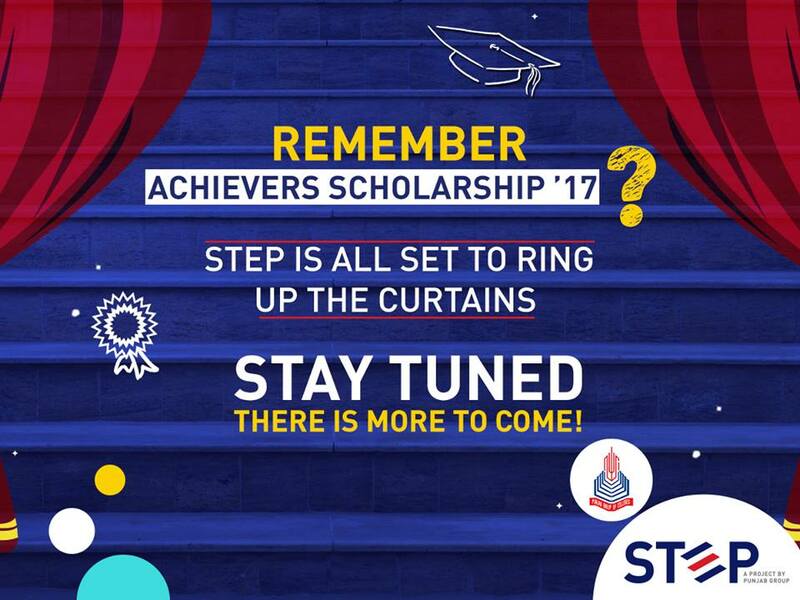 STEP offers to facilitate its high achieving students in their pursuit of higher education through its “Achievers Scholarship” grant. STEP introduced Achievers Scholarship as a form of incentive to its brilliant students who achieve top scores in their ECAT and MDCAT entrance exam 2017. 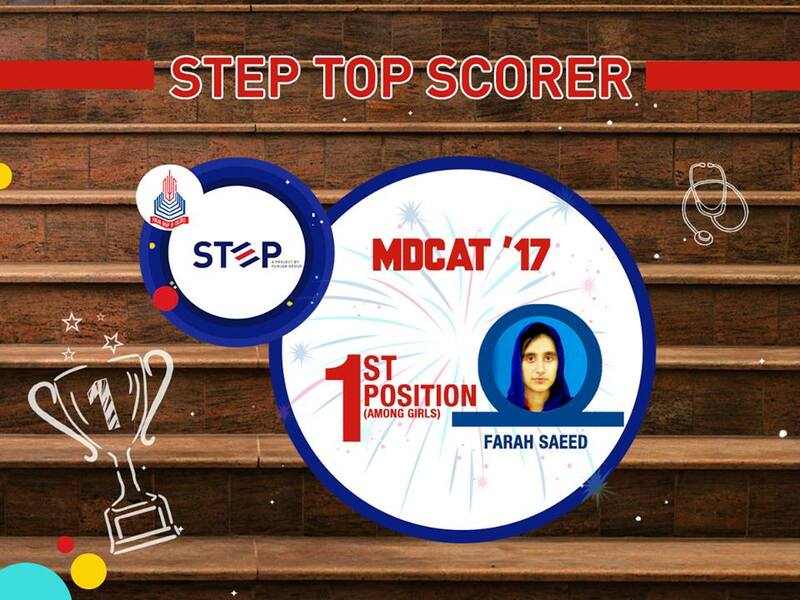 Achievers Scholarships’17 was announced to be granted to 50 top scorers of STEP’S ECAT and MDCAT entry test preparation programme. Under this Scholarship STEP’s 25 top scoring students in MDCAT entrance exam and 25 top scoring students in ECAT entrance exam were to be awarded educational sponsorship to study in their desired educational institutions. 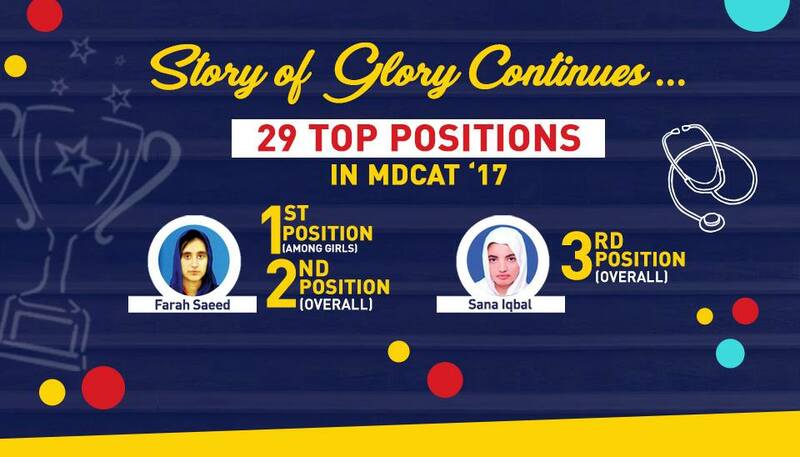 Looking at the outstanding performance and the commitment to excellence of its students STEP has decided to award Achievers Scholarship to its 29 top scorers in MDCAT and 27 top scorers in ECAT exam 2017. 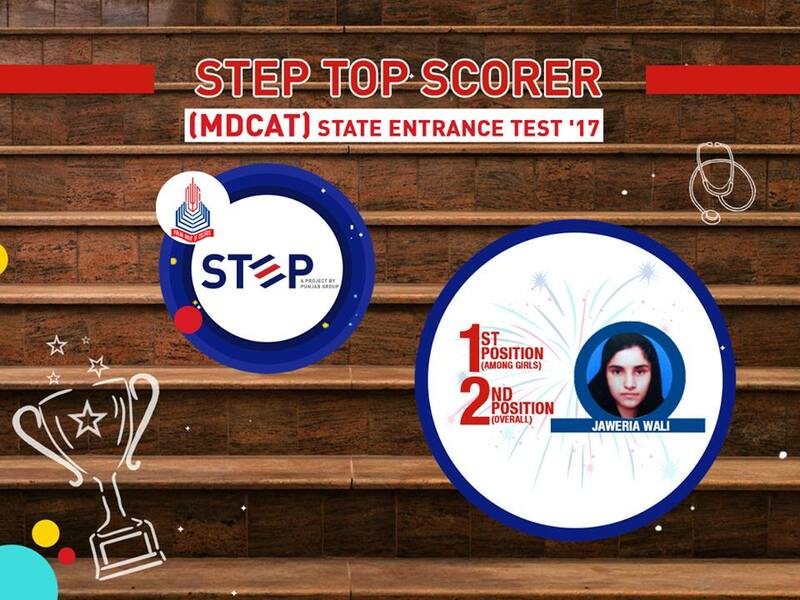 Now STEP’s 29 MDCAT toppers will receive educational sponsorship for upto 5 years in a form of an annual stipend. 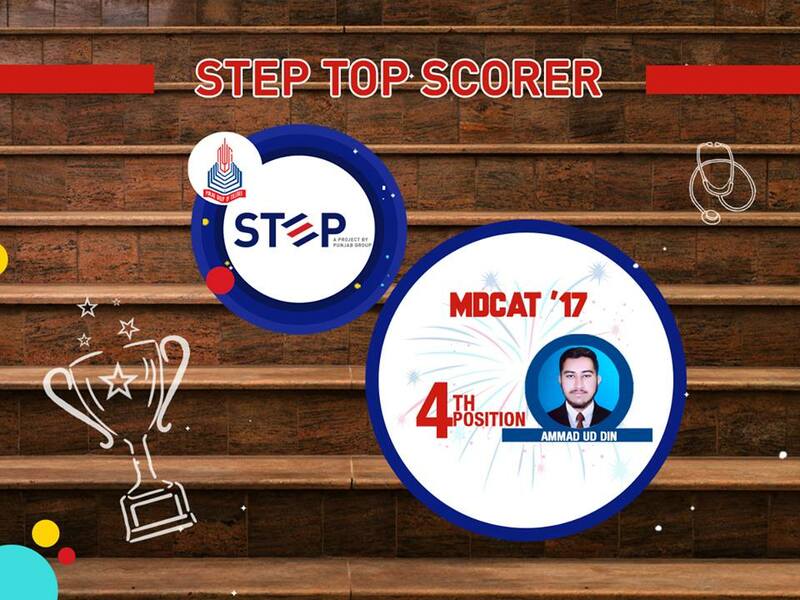 While 27 top scorers in ECAT will be getting the educational sponsorship for upto 4 years in the form of annual stipend. In Pakistan scholarships for college education are a major necessity since the dropout rate at the higher education level is still very alarming. It is mostly due to financial constraints and lack of financial resources that many students fail to pursue colleges degrees. Scholarships for college students serve as a reassurance of their future. Professional education is not as affordable for many brilliant students who have passion for excellence. It is very important to recognize such talents and support their passions. The hard work to maintain academic excellence and upholding educational merit should be recognized and rewarded to encourage and inspire students to continue striving for excellence. Granting 29 medical school scholarships is a great initiative to enable students take a step towards brighter future. This is one of a kind opportunity in terms of graduate school scholarships since it covers medical education of students at their desired institute. Scholarships for medical students are indeed much needed support to ensure are future doctors can reach their goal. There are not many programs dedicated to offer medical scholarships. The opportunity that brings students a chance to take admission in their desired medical school without worrying about the finances. There are many scholarships for graduate students currently being offered in the country yet med school scholarships are still not enough to meet the needs of many students who deserve to be supported and granted the chance based on their excellent academic performances. Scholarships for students of MDCAT are unique and serve the purpose of promoting true merit. Such scholarships and grants help students to stay motivated to to achieve and excel. STEP’s undergraduate medicine scholarships give wings to the dreams of students. With the scholarship opportunities like Achievers Scholarship ’17 students can study anywhere but will always have the financial support through a fixed stipend granted to them by STEP. Having STEP at their back, students are free to choose whichever programme they want and wherever they want to pursue their education. STEP’s Achievers Scholarship ’17 puts no restriction to the students as to where they can go to study further. This program also includes medical scholarships for international students which means that even if the student chooses to go and study abroad he or she will still be granted the yearly stipend as promised by STEP. The opportunity of scholarship for engineering students is indeed very encouraging in these times when higher education is not affordable for many deserving students. STEP’S engineering scholarships accommodate the needs of students and give flight to their goals. The 27 Scholarships that are being granted to STEP’s ECAT toppers offer equal opportunity to all the brilliant students. It is remarkable to see the names of talented women in engineering scholarships list of STEP. To be offered for all these and more subject areas makes it the biggest opportunity of engineering scholarships 2017. Any kind of program the students choose any wherever they want to go and study the Achievers Scholarships will also include undergraduate engineering scholarships for international students. The yearly stipend will be offered to all. It can also offer assistance as mechanical engineering scholarships for international students . 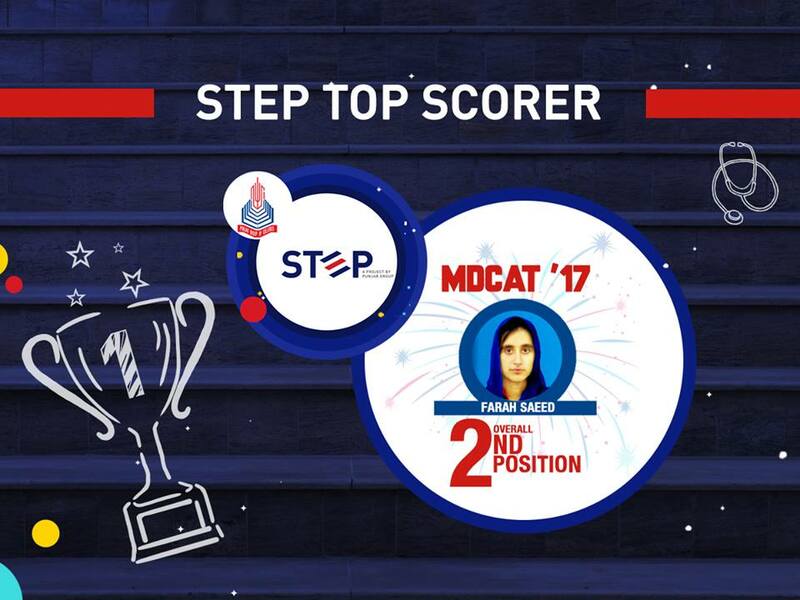 This make the STEP’s Achievers Scholarship’17 a unique gift to the students for showing commitment to excellence in their ECAT entrance exam. The students are getting well deserved undergraduate engineering scholarships which will make them entitled to a fixed grant wherever they go. STEP will not discriminate or hesitate to provide the scholarships for engineering students to study abroad. The amount that has been fixed and declared will reach the respective students where ever they are for the duration of 4 years. The engineering scholarships for international students after achieving top scores in ECAT is a one of a kind opportunity.